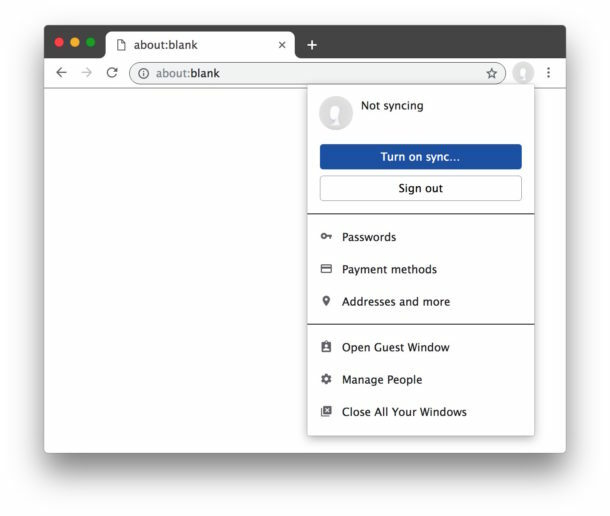 The latest versions of Google Chrome have a feature called Chrome sign-in that causes the Chrome web browser to login to itself when you login to another Google web service like Gmail or YouTube. In practice this means you’ll have your Google profile picture tucked into the upper right corner of every Chrome window which is linked to your Google account. Some Chrome users find Chrome sign-in to be great, while others may not like it. If you fall into the latter camp and don’t like automatic Chrome Google sign-in, then fortunately the latest versions of Chrome make it easier to disable the Chrome automatic sign-in feature. We’ll show you how to turn this capability off. That’s it, now you can use Chrome web browser to login to sites like Gmail or YouTube, without logging into the Chrome web browser itself automatically. * You can also access the same Chrome sign-in settings toggle by going to Chrome Settings then to “Advanced” and finding it under the “Privacy and Security” section. 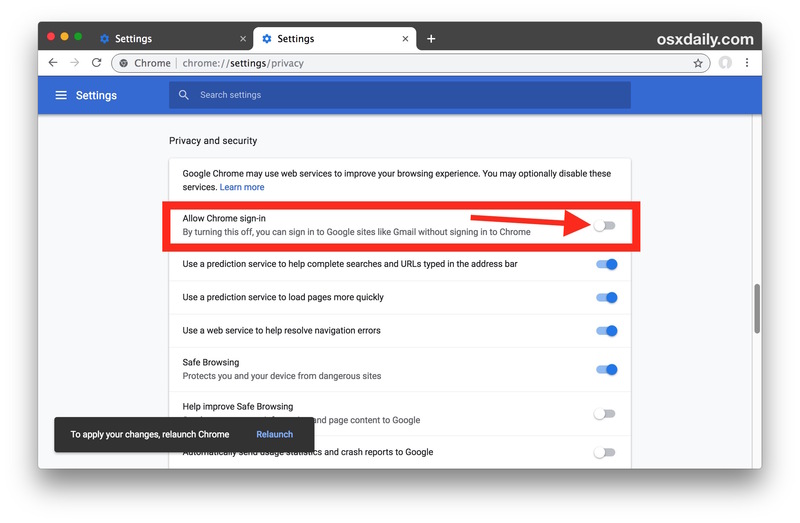 This trick should work to disable Chrome automatic sign-in to Google web services on every Chrome web browser on every platform that Chrome is available on, including Mac OS, Windows, Linux, and Chrome OS. This is just one of a variety of more recent changes to the Chrome browser which have been somewhat polarizing to longtime Chrome users, a few others include hiding the full URL and subdomains of some website links, the redesigned UI theme, and some curiously persistent Chrome autofill suggestions with certain entries that weren’t intended to be saved. Fortunately all of these issues are relatively simple to adjust. If you know of any other methods to disable the automatic Google / Chrome login feature, share with us in the comments below! Otherwise, feel free to browse around other Chrome browser tips here. Another great tip, thank you. Simpler solution, don’t sign up for anything Google related, it’s common knowledge Google is the biggest spy in cyberspace.